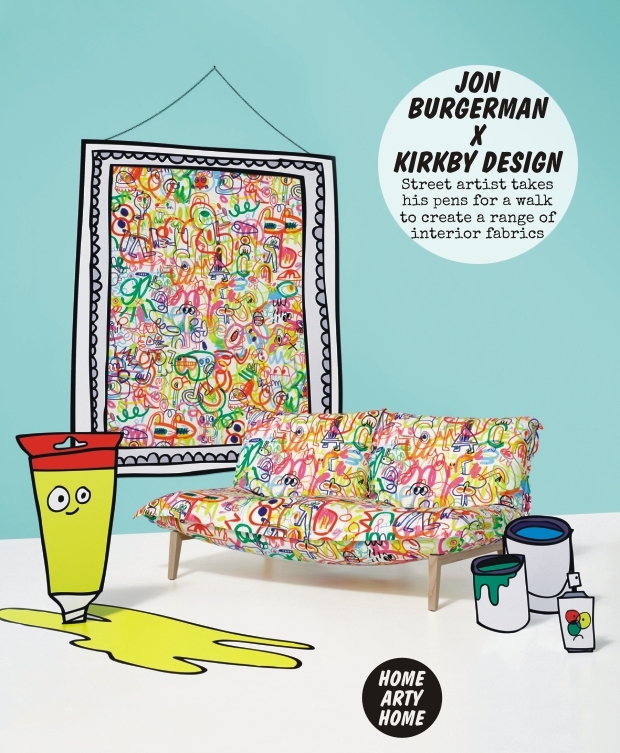 Very rarely, a new collection comes along that nails what this site is all about. 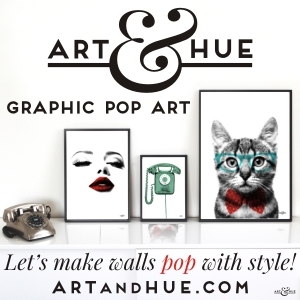 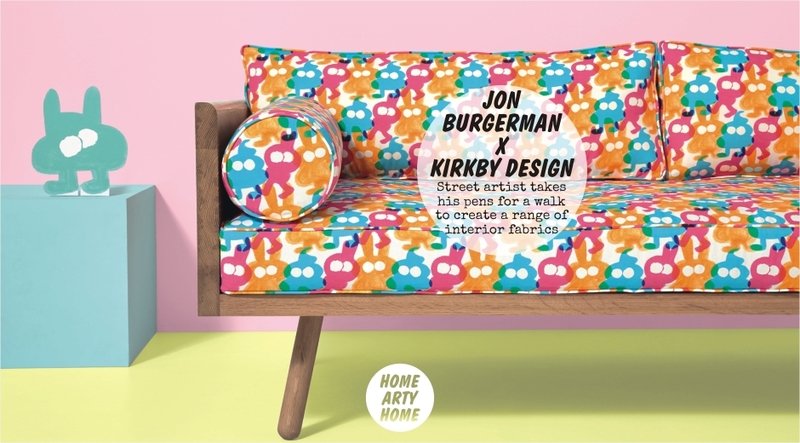 Home Arty Home loves bringing art into interiors, whether it’s through prints for the wall or accessories for the home. 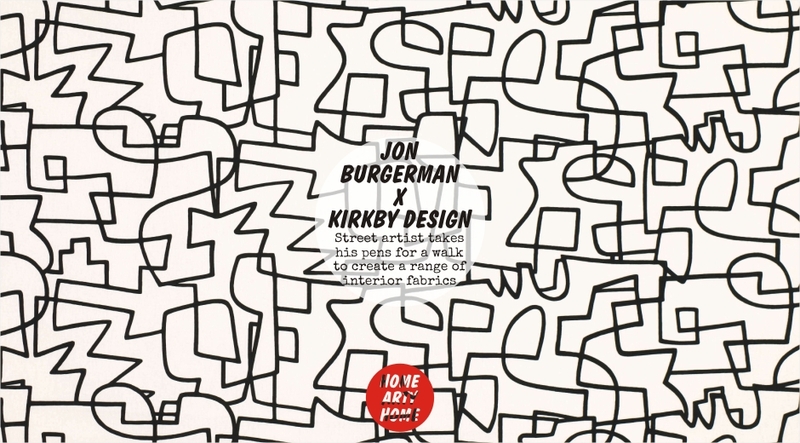 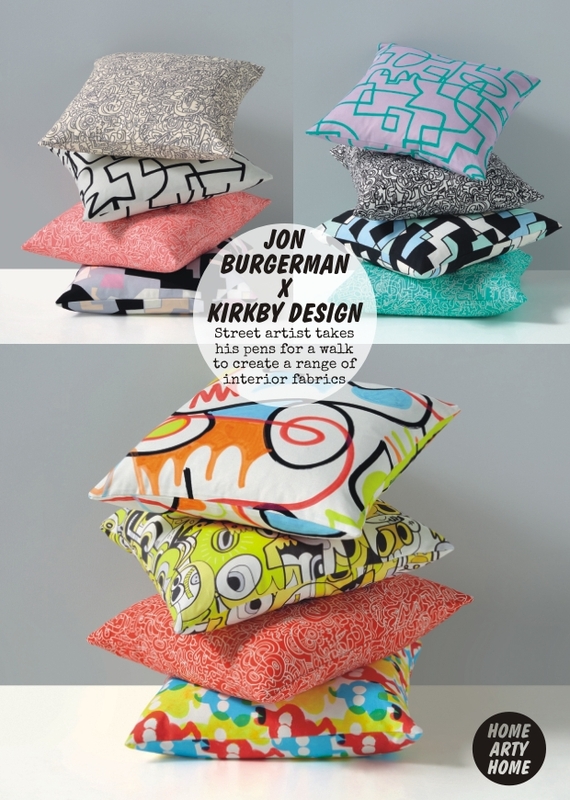 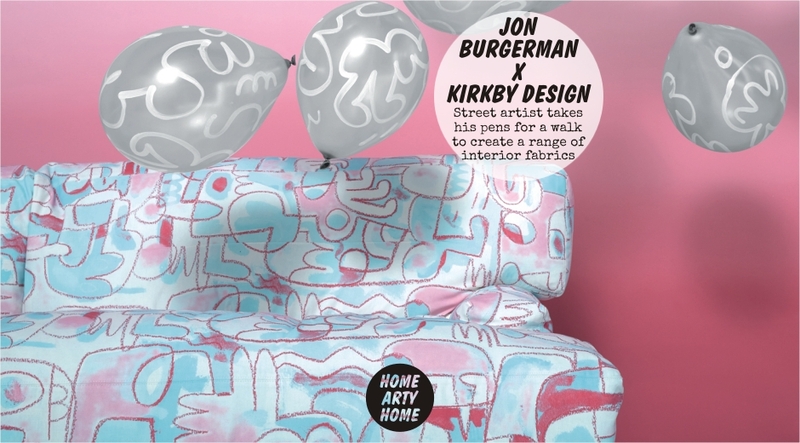 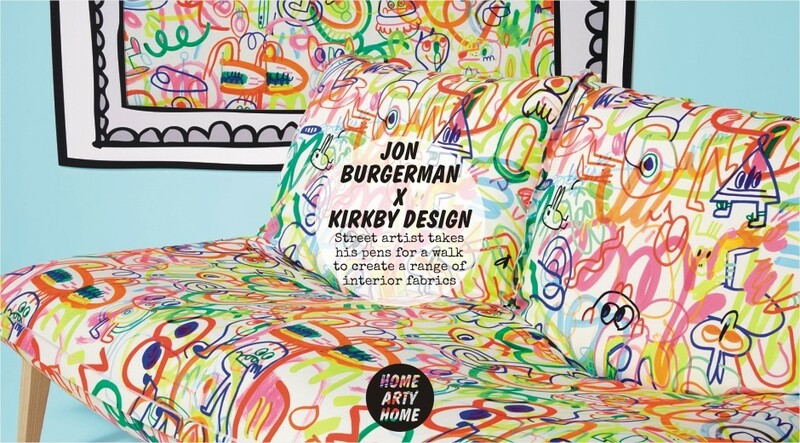 So imagine my delight to see this new collection by fabric company Kirkby Design who have collaborated with contemporary artist Jon Burgerman! 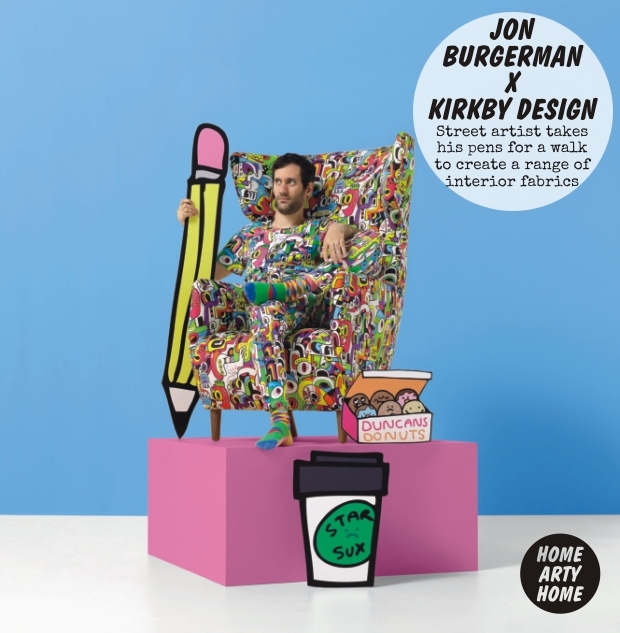 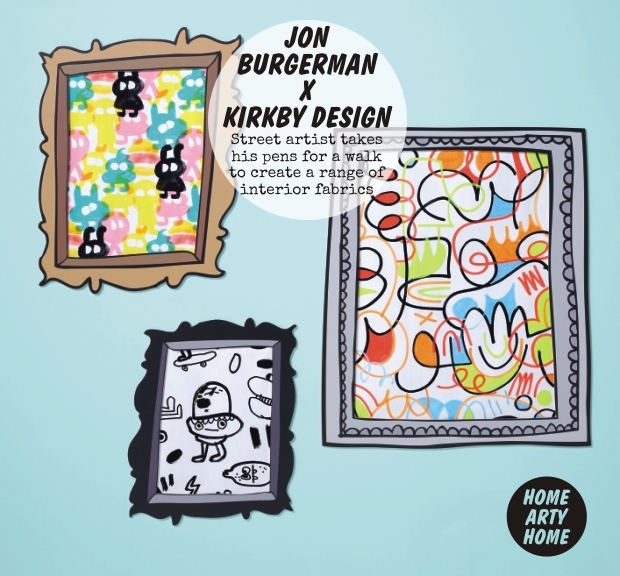 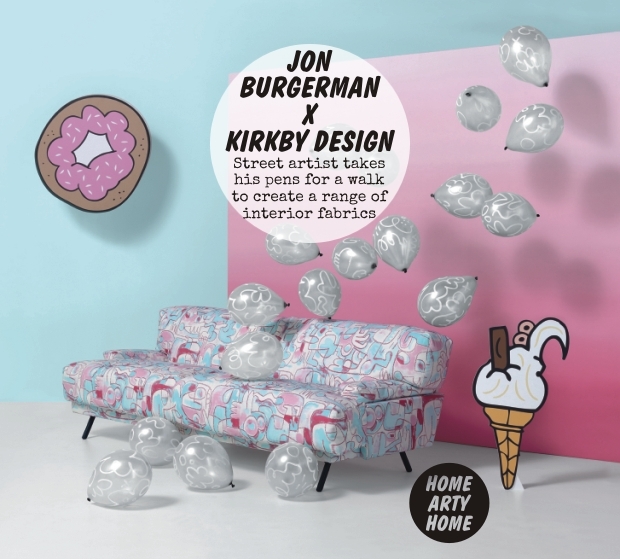 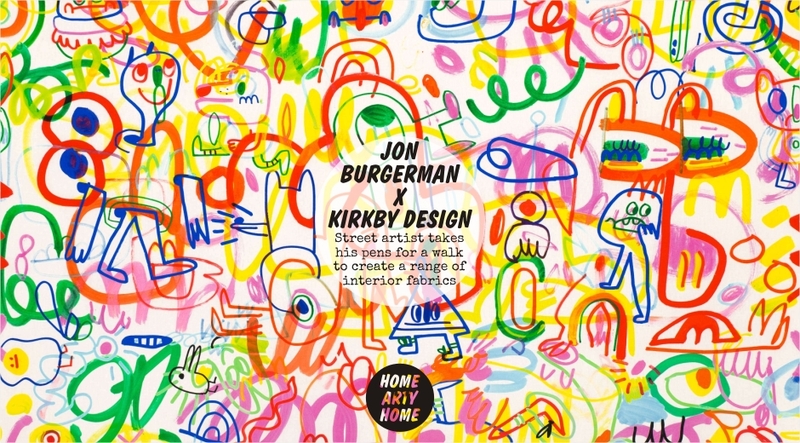 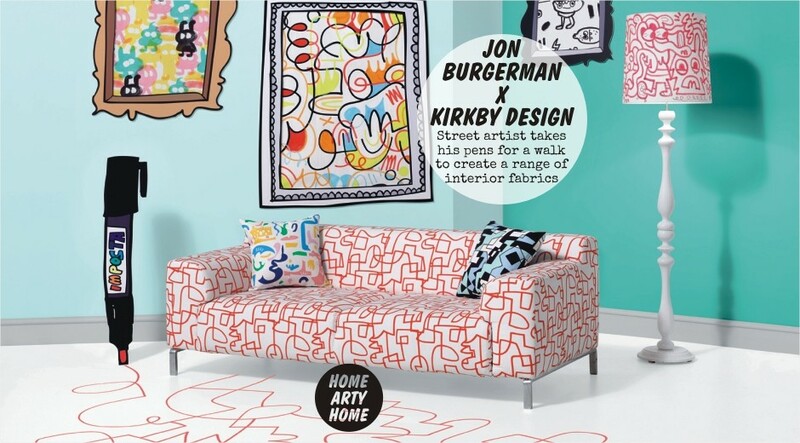 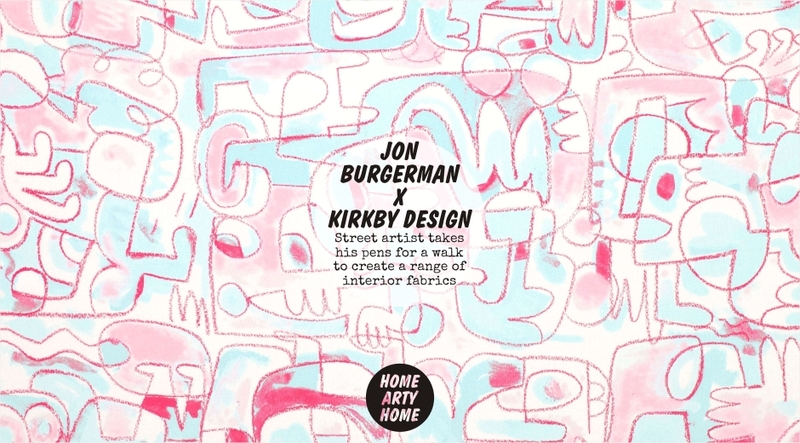 British street artist and self-proclaimed doodler, Jon Burgerman has produced a whole range of new designs exclusively for Kirkby Design, part of the Romo fabric group. 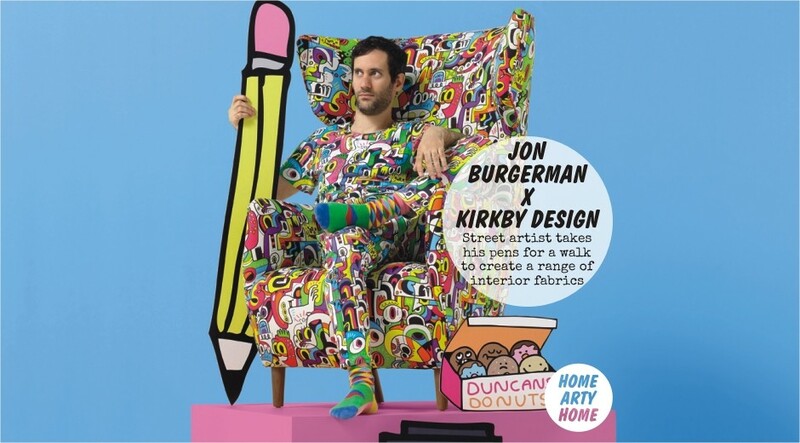 Not since Royal Doulton worked with the Pure Evil Gallery have I been so thrilled to see urban art brought into the home. 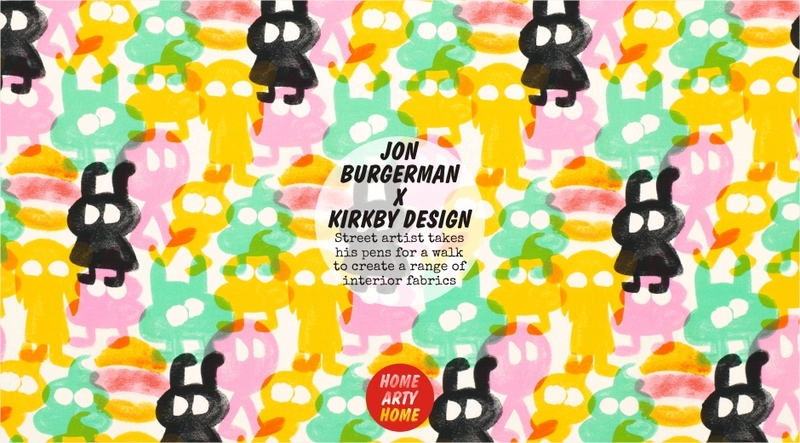 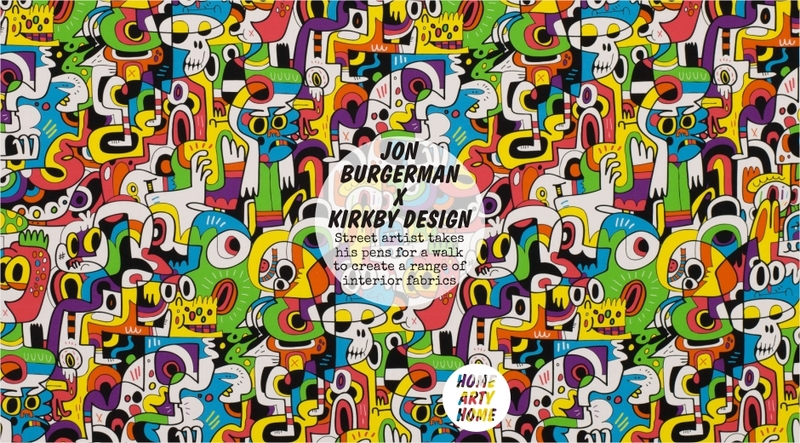 I’ve been a long-time admirer of Jon Burgerman’s art, having discovered his work for streetwear clothing brands in the past, so it’s great to see Kirkby Design getting behind his art so completely with this diverse range of digitally-printed fabrics. You can order fabrics from the collection, ideal for creating an eye-catching statement piece of furniture, as well as cushions for adding a touch of modernity to an existing scheme. 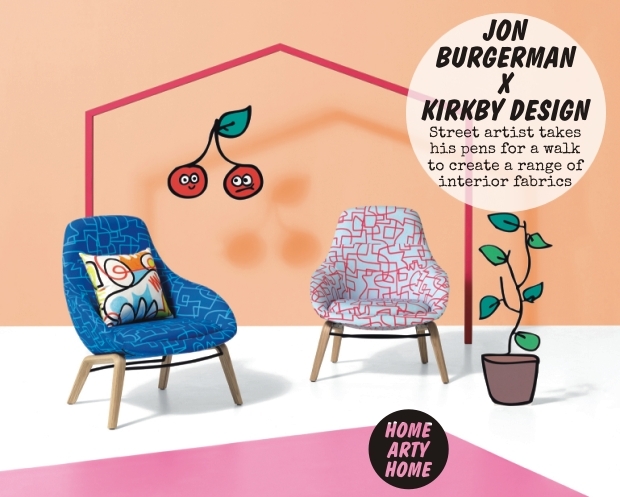 Take a look at the images below and in the gallery above and see the full collection, including all the different colour ways available, at the Kirkby Design website here.